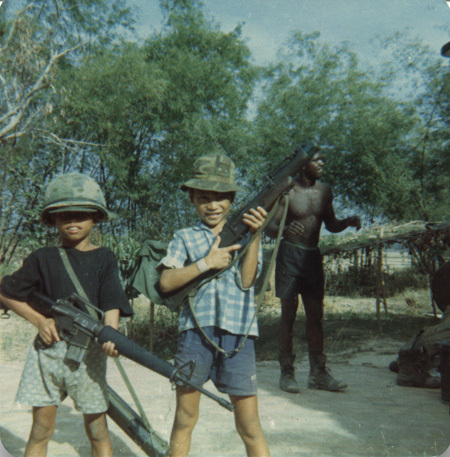 Paul Jungel: Cua (left) and friend pose with weapons of war. They could use both weapons … they knew how. The Marine in background is unidentified.